And You'll Only Pay if You ﻿﻿Get These ﻿Results﻿﻿﻿! 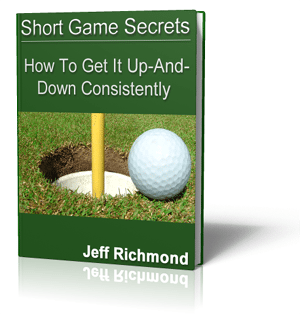 Become a confident putter, stop 3 putting and hole short putts with confidence. It sounds too good to be true, doesn’t it? Yet that’s exactly what PGA Tour Pro’s do. And because putting requires basically no athletic ability it means you have every right to putt as good as a pro. My name is Jeff Richmond. 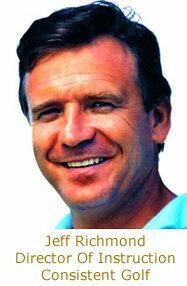 I am the Director of Instruction for Consistent Golf and in a moment I’ll tell you how you can learn, step-by-step, to become as good a putter as any PGA Tour pro. First, you need to understand WHY you’re not as good a putter as them. It’s got nothing to do with practicing your putting more or getting more putting tips, because no doubt you know that 43% of golf is putting….and you’ve probably tried a lot of things to improve your putting. So to learn how to putt like a pro you don’t need any more tips or random ideas on how to hole more putts. When you miss or make a putt on a green there is basically no feedback as to why you missed or made the putt (in terms of your stroke). This lack of feedback is not good and does not help you to improve long term.If anything – it makes your putting stroke worse and more inconsistent. That’s why so few golfers who practice their putting on the greens actually get much better. So if you’re practicing your putting and have no feedback on whether or not you just made a good stroke or a bad stroke then you’re just as likely to make the bad stroke a habit. Obviously that’s bad and will not help you to hole more putts. You see, when I was much younger I had dreams of playing on tour. And when I putted well I could easily score in the 60’s. But when my putting was bad I was scoring mid to high 70’s and that was happening too often. I was a great ball striker but putting was my nemesis. I would hit great shots into par 4’s and I would miss short putts and end up making par. I would be on par 5’s in two and then 3 putt for par. It was so frustrating and it was almost unfair how much putting had an influence on my game. And it was so frustrating playing with other golfers that weren’t as good at ball striking as me but they could beat me because they putted so much better. So I practiced my putting a lot to try to improve. I also bought putting books, read putting tips in magazines, purchased putting videos, went to pro’s for putting lessons, bought new putters, tried putting gadgets. And I’m sure if they had the Internet back then I would have watched all the free videos online too. Anyway, I tried to put all the random tips and advice I received together to try and improve my putting but you know what happened? I ended up confused and got worse instead of better! I couldn’t believe it….here I was spending hours on the greens trying to putt better, killing my back in the process, only to get worse! So I vowed at that point to find all the secrets needed to become a great putter. And when I found them I would share them with as many golfers as possible, because I know how painful poor putting is. Sadly it took me a long time to find out everything needed to become a great putter. Years in fact, because there is so much BAD advice on what it takes to become a great putter. And it took me so long to find out all the essential ingredients needed to become a great putter that I missed my chance of playing on Tour. Looking back on doing that, it’s amazing to me how just one or two missing ingredients can mean a golfer can always remain a poor putter. To become a great putter you need ALL the ingredients to do it. Like a food recipe….if you’re missing one or two essential ingredients you’ll sadly never become a great putter. But my complete, step-by-step putting improvement program, which includes everything needed to become a great putter, has been completed for a while now and thanks to it I’m now a great putter. As a result I can hole short putts with confidence. I lag long putts close to the hole leaving easy tap-ins. I very rarely 3 putt. I putt well under pressure and I enjoy playing golf so much more now. Once I completed my study into becoming as good a putter as any PGA Tour pro I then started to share the system with other golfers who suffered from poor putting, and the results were amazing. Here’s just a few examples of what golfers have achieved from going through this putting improvement program…. "I now believe I can truly sink every putt." “It is so much more enjoyable standing over a 4 foot putt knowing with all that I believe that the putt is going in the hole…rather than fearing of lipping it out. I can’t begin to thank you enough for the help this has made in my putting…people at the golf course are constantly saying to me…great putt…I used to have a lot of fear of missing short putts…more so than not getting a long one close. That fear is gone and has been replaced with confidence in my stroke and my putts…my whole game has gotten better. I now believe I can truly sink every putt. I haven’t seen anything like this…basically I would just pick up little things by reading books by Tiger and Harvey Penick. I would try them for a while but always resort back to old habits. "Now I have confidence in my putting and improvements in accuracy." “After completing this putting improvement program I have more confidence and accuracy in putting, and better relaxation for every shot. I’ve never seen anything like this as most putting tuition I’ve seen covers the basics of picking the line, setup and stroking. But yours goes not a step further, but a mile further on every aspect of the task, and the feedback from the aids is invaluable in helping the player to see their faults. "After completing the program my putting average is 28.6!" “Before I started this putting improvement program my putting average per round was 36.8. After completing the program my putting average is 28.6! My putting is now not holding back my golf game. "Everything about my putting game has improved..."
“Since starting this program my putting has improved by 14.4 putts per round. Before starting this program I averaged 42.4 putts per round. Now I average 28 putts per round! Everything about my putting game has improved, starting from my position over the ball, confidence, putter alignment, rhythm, and speed control. My whole attitude has changed when it comes to the putting game. What you’ve explained and demonstrated in this program, are the things I’ve struggled with for a long time and you have a way of making the hard easy. "I feel like I can compete with anyone." “I’m feeling more comfortable with my putter. Also more relaxed and confident. I’m doing less thinking when putting. The instructions are explained very well. I can see the putts going in before I putt. My confidence level has skyrocketed. Knowing I can make the putt and just putt. I believe I can make every putt I take. I attribute this to confidence and frame of mind I use to worry will I miss this putt. Now I think about the ball going in the cup I have felt more relaxed and in tune with my inner self. Being relaxed while playing golf does wonders for the game. My putting has improved so much. I feel confident and know that I can make any putt. My stroke no longer has the yips, it’s a nice smooth swing. You’ll get all of these results with my step-by-step putting improvement program, and here’s how you’ll do this…. You’ll learn the most natural and simplest method available, to a repeating putting stroke so you have great putting consistency. How to practice your stroke at home for the best results on the golf course. Discover the setup needed for a great putting game, and all of this can (should) be done at home. 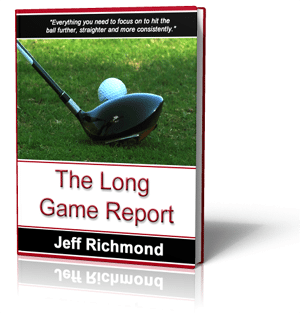 Find out the first, most important element needed for you to become a great putter. And it’s not a mechanical issue, but rather an attitude that all great putters have. You’ll learn that attitude they have and make it a habit so you’ll believe you’re a great putter. You’ll get instructions and an online calculator that will help you to work out the perfect length and lie of putter that you should have to have the most chance of holing every putt. Find out in full detail how to grip a putter to give you consistent putting results. How to get the putter face to be square to where you want the ball to start so you can start your ball on the line you want, enabling you to hole more short putts. Where to position the ball so the ball is launched at the best angle to help it go in the hole…yes the ball should be launched off the putter face at a specific angle…and you’ll find out what that angle is. How far apart exactly your feet should be for great, stable putting. The percentage of weight that should be on your front foot for great putting. How to setup so your eyes are directly over the ball every single time. How to setup the same way every single time to give yourself the most chance of holing every putt you face. How to build internal confidence so that you believe with everything you have that you are a great putter no matter what. This is what great putters believe and that’s why if they miss a few putts they still have confidence. How you can use counting to have amazing putting consistency just like the great putters have. What questions to ask yourself before every putt to give your ball the most chance of going in the hole. How to power your putts so the ball goes the exact distance you want with consistency, leaving yourself easy tap-ins. How to practice your putting path and putterface alignment so your ball starts on the line you want, every single time. How to learn to accelerate through your putts without actually trying to do it. It’s cool and simple. The best tempo to help you have a consistent, stable stroke all the time. It’s the specific tempo the best golfers in the world use and you’ll learn how to practice it. Find out how to practice contacting the ball on the center of the clubface every single time so you can control the distance of your putts with great precision. This is critical. How to have a great, automatic putting stroke that works under pressure. One question to ask yourself that will help you to become a great green reader. Get 28 great putting drills and games you can use on the practice putting green to help you become a great putter on the golf course. These are the drills the pro’s use. They will help you to build up great distance control and short putting confidence. Get a PDF with all the putting drills so you can print them out and take them to the golf course with you. Impressing your playing partners with your new found putting skills. Being confident over your short putts that the ball is going in the hole. Having confidence over your long putts that the ball is going to go either in the hole or finish close so you have an easy tap in. And your scores will be a lot lower. You’ll enjoy playing golf more and feel peaceful and confident when on the greens. How good are you going to feel when people start to refer to you as a great putter?! Well, my program is the only one that is going to show you all 13 things you need to become a great putter, and how to put them together so you can actually become the great putter you deserve to be. But this program has only ever been available as part of the online Consistent Golf School. But now, for a limited time you get this entire step-by-step, Putting Game Improvement program… ALL AT ONCE! Up until this point this program has only ever been able to be accessed by students of the online consistent golf school, who have paid up to $222 to go through this program. And they were drip fed the lessons over 6 months, where as now you can get all the lessons at once. "The details you provide leave no doubt as how to proceed." “When I set up over the putt I feel confident that I have the proper grip, set up and ball position. This frees my mind to think about line and distance without the apprehension my grip or ball position is wrong. The written instructions backed up with pictures and video make the procedures clear and easily understood. By repeating the tasks over and over I know what I am going to do on the green and do it the same each time. I do not try something different every time I miss a putt. I haven’t had more than 36 putts in a round. Before I would get 38-42 putts in a round. A 20 foot putt used to be an automatic 3 putt in my mind. Now I feel I can get down in 2 or less. I now set up and putt faster because I don’t do it different each time. The details you provide leave no doubt as how to proceed. So how much for the Putting Game Improvement program? When you get The Putting Game Improvement Program now you’ll have full access to a BIG database that will quickly give you the solution to virtually any golfing problem you’re having. Problem – I seem to jerk the club away instead of taking it away smoothly and this happens with all my clubs. Do you have any techniques, which will fix this? Problem – What should my shoulders and hips be doing in my backswing so I get the most power possible? Problem – I’m missing too many easy three footers and my confidence is diminishing with each miss. Please tell me what I can do to improve my short putting confidence? Problem – I am lacking in feel and distance control around the greens. What can I do to improve my touch? Problem – When I’m in between clubs I don’t know whether I should swing easier with more club or swing harder with less club. What do you think? 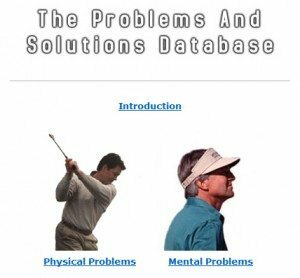 Naturally the problems and solutions database is huge value. But sometimes you’ll just want to get some personal advice about your current problem. 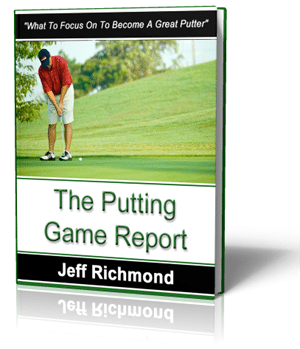 And when you get The Putting Game Improvement Program now you can send me any golfing questions or problems (within 6 months of your order) and you’ll get a response back from me personally (Jeff Richmond) within 24-48 hours (generally sooner) Monday-Friday. When you get The Putting Game Improvement program now you’ll get one free video lesson to redeem when you want – in the next 6 months. So simply send me your swing on video (full instructions on what you need to do for this are in the private website) and I will analyze your swing and send you back advice and a plan on what are the main things you need to work on improving. The best drills to help you contact the ball with a slightly closed clubface so you’ll hit a powerful, professional looking draw. How to check your equipment to make sure it encourages a draw instead of a slice. 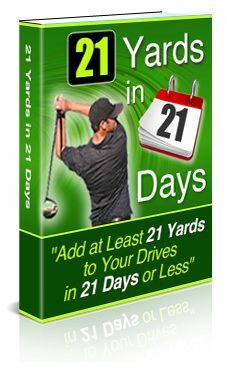 get one new drill or exercise that WILL add AT LEAST 1 – 10 yards to your drives in just 15 minutes per day. PLUS… ALL of the drills and exercises can be done in the comfort of your own home. There’s a damn good chance that your swing plane is the exact opposite of what it should be to hit great golf shots – consistently. 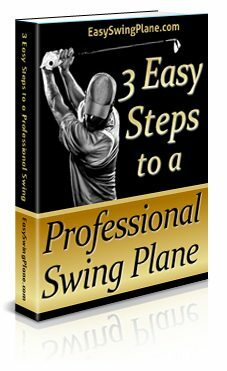 But now in this 3 Easy Steps To A Professional Swing Plane program you’ll discover how you can groove the swing plane of a top PGA Tour pro. • you’ll hit the ball a lot more consistently. When you get The Putting Game Improvement Program today you’ll also be able to download FREE the digital version (i.e. you can download it to your computer) of a golfing confidence CD that has been sold for $24.95. 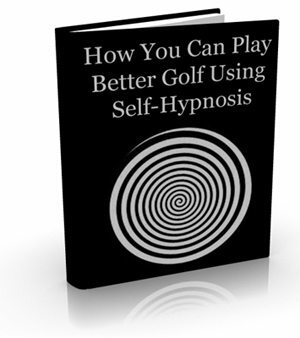 This audio exposes you to a secret mental technique that some of the top professional golfers in the world have used to automatically program their minds for golfing success. After 30 days of continuous listening to this audio this is what you can expect…. 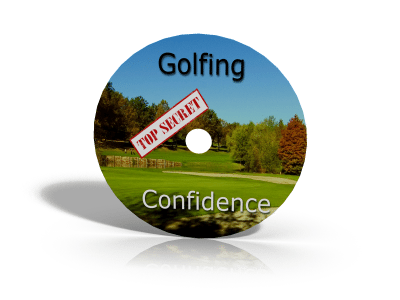 Improved confidence and concentration on the golf course. Makes golf easier and more fun. Helps to eliminate fear when playing any shot. It will save you practice time because you can have the audio playing in the background and be doing what you normally would, while your golf game is being improved! The 3 things you need to have a great short game. 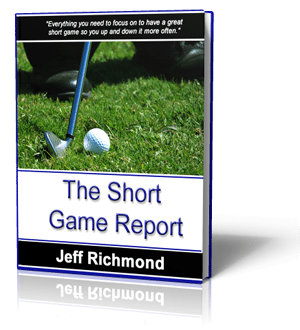 What the very first thing is you need to focus on to master the short game. Where you should grip the club for chip and pitch shots for more short game success. Two things that should be present at the end of each short game swing to help ensure a great shot. The simple setup changes you must make to play successful bunker shots. 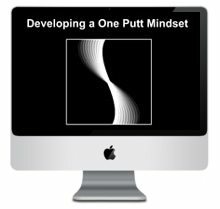 When you get The Putting Game Improvement Program today, you’ll also receive a special, 9 minute, mental training session designed to give you the One-Putt Mindset. And you can do this mental training session right at your computer. When you use this training module you’ll be programming your mind to hole your first putt, which naturally will help you to lower your scores. Plus when you use this training module you’ll discover it’s the easiest thing you’ve ever done to improve your putting….because you can do it with your eyes closed! 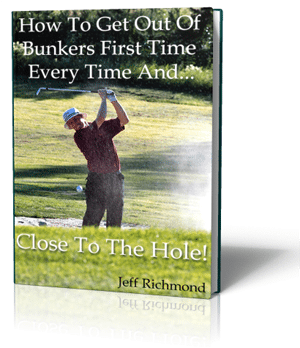 Free Gift #11: How To Get Out Of Bunkers First Time Every Time And…Close To The Hole! Where you need to position the ball to become a consistent ball striker. What you must do in the backswing to hit the golf ball as long as possible. The real power side in your golf swing.What exactly should happen in your swing during the transition, downswing and at impact. One thing that happens in the follow-through that should not happen at any other point in your swing. Why trying to swing with rhythm and timing is wrong. The important aspects of equipment and what to check and adjust specifically to fit you. 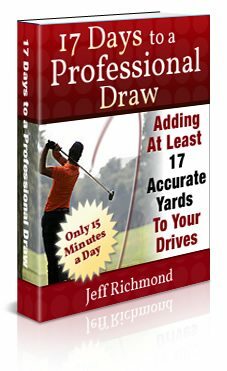 If you want to get up and down more, whether you’re chipping, pitching or playing a bunker shot then you’re going to love this ebook. 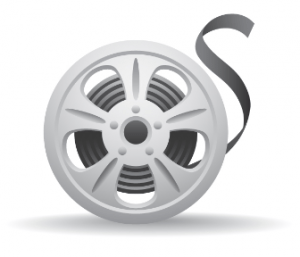 Because in it you’re going to discover…. How to keep your wrists firm as you’re chipping. One of the best ways to improve your chipping accuracy. How to hit your pitch shots the exact distance you want them to go. The best drill to help you hit the ball first when pitching and chipping. The biggest reason golfers struggle out of bunkers, along with the best solution. The very first thing you need to focus on to become a great putter. What the two most important aspects of any putter you choose are. What you must do with your grip to improve your consistency. What you must do when you’re walking up to the ball to help you hole more putts. The only place where you should practice your putting mechanics. Why all putting strokes should take the same amount of time — regardless of the length of putt. The first thing you should do to improve your green reading. There’s no doubt about it….3 putting is one of the most frustrating parts of golf because every time you do it you’ve wasted at least one shot. Just imagine if you stopped 3 putting. How many shots will you save when you do that? The crucial things you need to work on to stop 3 putting for good. How to improve your lag putting. How to hole more short putts with confidence. How to read greens like a book. The simple technique to predict how fast (or slow) a putt will be. 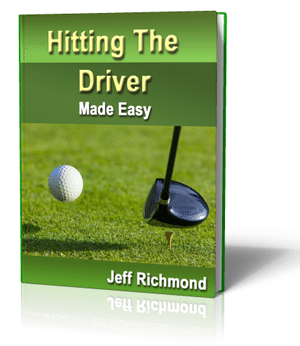 If you can play great golf shots when you’re practicing but struggle to take it to the golf course then this book is going to be a great asset for you, because when you read it you’ll find out…. What you must do the night before a game of golf to give yourself the best chance of success. The 2 important things you should do as you’re driving to the golf course to almost guarantee a good round. A checklist of what to do before and during the first tee shot to help you get off the first tee successfully. 9 things you can do between your shots to help take shots off your scores. The 6 things you should do after each game to help improve the next time you play. How to be focused yet relaxed at the same time when you’re swinging. How fears like missing a putt can be kept in control. How to conquer conscious fear when you’re faced with tough shots. How to swing automatically with your subconscious mind. How you’ve used self-hypnosis almost every day without even knowing it! 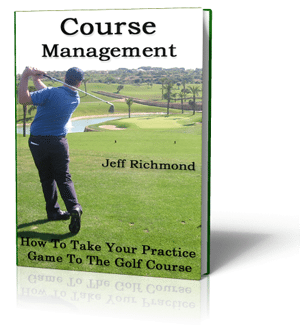 And how to use it to improve your golf game quickly and easily. We all suffer with anger on the golf course from time to time and some golfers more than others. Either way, you need to know how to manage your anger so it doesn’t ruin your golf game. And this bonus will help you do exactly that by programming your mind to handle anger in the best way possible so you score lower than you would have otherwise. I recommend that you listen to it once a day for at least 14 days, and then monitor your results on the course. Is that some golf improvement package or what?! And I’ve even left some things out that you’re going to get as soon as you get The Putting Game Improvement Program. I believe in over-delivering. All the free gifts I’ve told you about on this page are worth $625.60. So when you get The Putting Game Improvement program today, worth $222, and all of these bonuses worth $625.60, it will only cost $77. That’s a saving of $770.60! But, this amazing offer can be pulled at anytime. So click the ‘Add To Cart’ button below and start to build a putting game in the next 5 minutes, because everything described on this page is digital so you get access to everything right after your order has been completed. Also, I’m so confident that this is going to be the best golf improvement investment you’ve ever made I’m going to give you…. When you get The Putting Game Improvement program nowyou get a full 60 day money back guarantee. If you’re not happy with it for any reason then within 60 days of getting it you can get 100% of your money back — without any hassles. YES!…you have 60 days to try out all the Putting Game Improvement program along with all the bonuses and if you don’t improve or think you will improve then simply get your money back. Now obviously by making this so cheap, risk free and giving so much away for free, straight away I’m taking all the risk from you and putting it back on me. But remember, this amazing offer is only available for a limited time. So now you know all of this, clearly you have no risk and everything to gain by taking action now and clicking here to start your 60 day risk free enrollment now. Because when you do this you’ll be able to start practicing simple drills today, and exercises indoors at home, that will help you to become a great putter. Finally, I look forward to helping you to become the best golfer you can become and fulfilling your potential so you’ll have more fun and enjoyment playing golf. To do this simply get out your credit card now and click the Add To Cart button below and process your order securely through PayPal. Once you’ve successfully completed your order you’ll then be transferred to a secret page where you can get all the lessons in the Putting Game Improvement program plus the other bonuses. And remember, you have 60 days to check this out to make sure it’s everything I say it is otherwise you can get a 100% refund with no hassles. But if you don’t join now you’ll probably always have problems with your putting and you’ll always feel frustrated with your putting game. Don't let that happen to YOU! Aren’t you sick of your inconsistency? Aren’t you sick and tired of hitting missing short easy putts? And aren’t you sick of three putting? So just imagine how much better you’d feel when you’ve built a great putting game that people give you compliments about. Well, that will never happen unless you take action and create better habits. And now for a tiny $77 you could become the putter you’ve always dreamed of. Take action now and click here to secure your spot before someone else does! You could keep doing what you’re doing but as you know, you’ll get the same results. Now for such a low price of 77 bucks you could start to become a great putter – 100% guaranteed. Plus you get my help 100% FREE! That’s crazy value for you! Don’t you think you owe it to yourself to take action – do something completely different and stick to a plan that is going to give you the putting game of your dreams? Think about that…aren’t you sick of your bad putting game? Don’t you want to move on and become a great putter that holes short putts with confidence and very rarely has a 3 putt? Take action now. Simply click the “Add To Cart” button below. Then after you’ve successfully processed your order you’ll be directed to a page to get access to everything mentioned on this page. Important Note: If you’re not 100% sure whether this Putting Game Improvement program is for you, get it anyway and then use the 60 day, 100% money back guarantee if you have to. That’s what it’s there for….to protect you! I’d hate for you to miss out on having a great putting game because of bad experiences with other inferior golf improvement products. Look, life is too short to be frustrated with your putting. The time to take action is now. It’s now your turn to become a great putter once and for all. Start right now so that in your very next game of golf you can improve your putting and keep improving consistently. This could be the one solution you’ve been looking for to help you become the putter of your dreams. But you’ll never know if you don’t take action now. And the fact is…unless you create better habits you’ll always be dreaming about how good a golfer you could be. So stop dreaming and start doing. Take action now and get The Putting Game Improvement program now and start improving your putting in just 5 minutes from now! The choice is now yours. You can follow a proven formula to have a great putting game — or you can keep doing what you’ve done up until now and score just like you’ve always done. I trust you’ll choose the correct path to have a great putting game. Because you’ve found the one solution to your putting problems that you’ve been looking for, you just need to take action by clicking here to start your 60 day free trial now. P.S. When you get The Putting Game Improvement program now by clicking the ‘Add To Cart’ button below it will be processed by PayPal. They accept all of the major credit cards and implement some of the strongest security and anti-fraud strategies available today. So your order is completely secure and safe with them and that’s why I choose them to process our orders.